The Ginger Peanut goes national! We were thrilled to be featured in the Guardian’s weekend Travel Section – “20 of the best new UK hotels and hostels for 2018” amongst a very select nationwide group ‘From rustic hostels to chick city-centre boltholes’. The Ginger Peanut is described as a ‘restaurant-with-rooms’ and ‘already starting to make a name for itself. We are delighted to have received such a favourable write up only a couple of months since opening our doors in November. This cosy and intimate hostelry in Bampton fills a much-needed niche on the outskirts of Exmoor National Park. 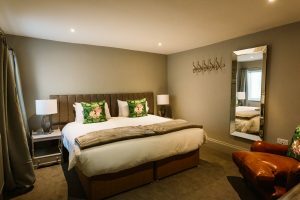 The five ever-so-comfy ensuite rooms provide a welcome addition to Devon accommodation in a popular area for walking, hunting, shooting, fishing or just visiting the many and varied nearby beauty spots. 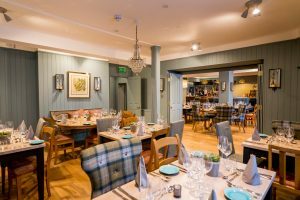 Coupled with delicious locally sourced dishes from chef Peter Mundy, the Ginger Peanut provides an ideal location to explore all that this area of Devon has to offer. With the new menu just out this week, we look forward to welcoming guests to this restaurant-with-rooms in Bampton Devon.